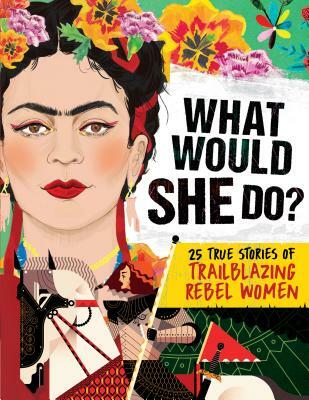 From historic world leaders to brilliant scientists, artists, and modern-day pioneers, What Would She Do? shares twenty-five incredible women's stories that educate and empower. Learn about the remarkable achievements and attitudes of feminist trailblazers such as Cleopatra, Amelia Earhart, Malala Yousafzai, Michelle Obama, and other brave women who overcame huge obstacles to accomplish great things. Editor-turned-author Kay Woodward has written over 80 books for children including her novel Jane Airhead, and series including Flower Fairies, Skate School, and Magical World. She's also written film and TV tie-ins, nonfiction, and joke books. Kay lives in Hampshire, UK with her husband and her little girl, and writes from her office overlooking a massive eucalyptus tree.